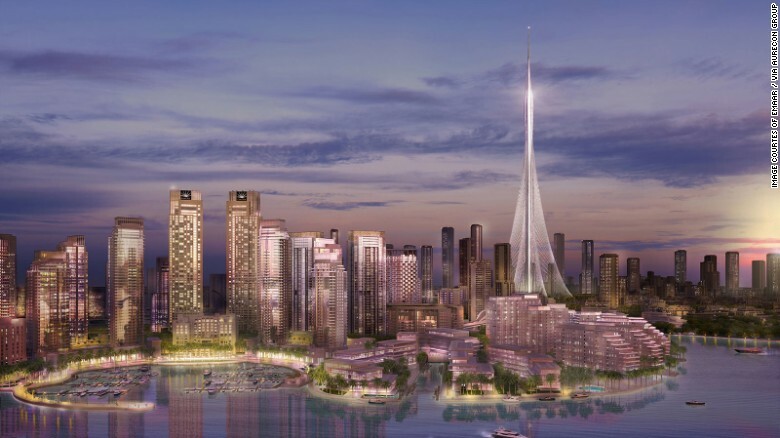 A new Dubai tower, currently named the Dubai Creek Tower, will be the tallest tower in Dubai. According to CCN Online it "would be ready in time for Dubai Expo 2020." The current tallest building in the world is the Burj Khalifa in Dubai at 2,717ft. CNN goes on to report: "When completed, this new 3,045ft tower will best the Burj by a massive 322ft." The Burj Khalifa is currently the tallest building in the world. This will be great and a significant milestone. The problem is that another building is currently underway in Jeddah, Saudi Arabia, The Jeddah Tower (formerly known as the Kingdom Tower), when it is finished will be 3,045ft making. 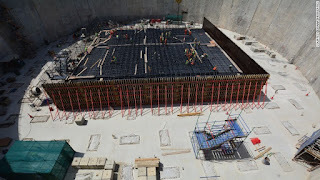 As of July 2017, 58 floors have been completed on the Jeddah Tower. The new Dubai Creek Tower currently has only a 236ft deep foundation footprint. The tower was designed by architect, Santiago Calatrava. This structure is different than the Burj Khalifa and the Jeddah Tower. It does not contain habitable space. It is similar to the Eiffel Tower, CNN Tower in Toronto, or the Tokyo Skytree (currently the tallest "tower"). It will feature an observation deck and a "capacious Hanging Gardens of Babylon-style floors." There will not be any floors that contain residential or commercial space. Very interesting. Calatrava is one of my favorite architects so I hope it is interesting. R.I.P. to the legendary singer Barbara Cook.